Game of Thrones Final Season (8) to be simulcast on Hotstar. Get your subscription and stream it outside the U.S.
Game of Thrones final season is around the corner and fans are waiting for the first episode which will be premiered on 14th of April 2019. This epic fantasy tale has got fans excited as it will feature the biggest war ever on the show. The sad part is that fans must buy a hefty subscription to watch GOT season 8. Alternatively, millions of fans are restricted to as the show owners restrict their broadcast to some regions only. Hotstar an Indian replica to Netflix can help you watch GOT with little or no hassle. GOT is premium content on Hotstar and costs ₹999/year ($14.95), which is fairly cheaper than subscription by HBO and Sky Atlantic. The internet is making things really easy around the globe, on the other hand, it has revolutionized how we perceive entertainment. Have you heard of Hotstar? Hotstar is an Indian answer to Netflix. This Indian streaming platform was launched in February 2015 and rapidly gain popularity among the streamers. It’s parent company Star India is a fully-owned subsidiary of 21st Century Fox. Hotstar is one of the largest media corporations which broadcasts more than 60 television channel simultaneously. If you’re an Indian expat in the USA, this article is for you. Here we will discuss how to watch Hotstar in the USA. 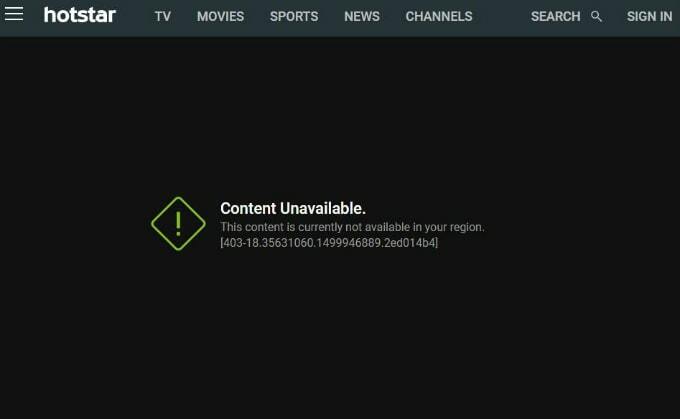 What is Hotstar and why is it blocked? Though Netflix does gratify the need of Bollywood movies and shows, Hotstar takes it to another level by offering every Indian TV show and movie. If you’re an Indian living in abroad or a foreign fan, Hotstar has all the answer to your sports need as well. However, like any other streaming site, Hotstar has different payment plans for premium content which solely depends on the country you access it from. This is because broadcasters want to wring every penny out in return of the content they air. The USA is one of the Hotstar available countries with dedicated apps on App store, Google Playstore, and Amazon App Store. Hotstar iOS App: Hotstar is available on iOS. Now you can enjoy Sports, News, Movies and Indian TV shows on your iPhones, iPads, and iPod touch devices. Hotstar Android App: There is an official app for Android, and you don’t need to change your location to download it. Using a dedicated Hotstar US app, you can enjoy streaming on your mobile and tablets. Amazon App Store: Hotstar is available on Amazon App Store. You don’t need to change your location and can quickly get it on Fire TV devices and Amazon FireStick. “This content is not available in your region” this is the error that pops-in when you try to watch on-demand videos and live streams outside India. Hotstar US is available but with limited streams and shows. If you’re an Indian expat living in the US, you might feel really annoyed and helpless. The pain doesn’t stop here; you pay nearly about $15 in India to subscribe for yearly free services. However, in the USA you must pay $9.99 per month to have unrestricted service. If we compare Indian and US rates, then we will observe notable differences. Let’s do the math; in the US you pay $9.99 per month which makes it $120 per year, contrary to India where it’s only $15. There are a lot of ways using which Hotstar India can be accessed; three of the most affordable and efficient are mentioned below. 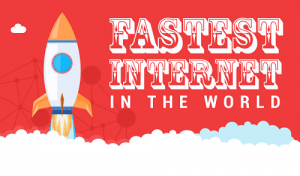 Amongst these three I recommend you to use fast streaming VPNs for Hotstar US, this will not only give you a buffer-free experience but will also fall light on your pockets. How to Watch Hotstar in the USA? You can watch everything the Indians are watching on Hotstar using VPN. VPN is your one-stop solution to geo-locate yourself virtually. This will not only allow you to watch the Indian version of Hotstar but will also keep your activities secure and private. 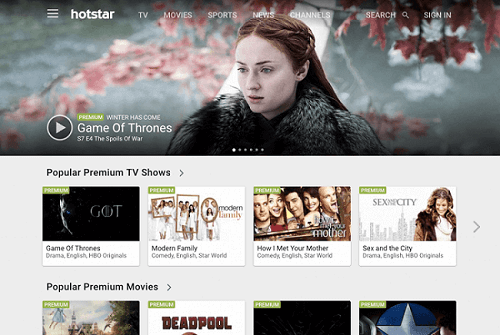 How to watch Hotstar in the USA for FREE? Hotstar offers free streaming for most of its content but only in India. This star-owned streaming service has introduced premium services for other regions like Canada and USA. Hotstar apps on Google Play Store and iOS App Store also offer a one-month free trial to give you a scant taste of what it offers. Since Hotstar is available for free in India, expats in the US feel it is discriminatory to pay more in other countries. This gives us the reason to switch from a US IP to Indian IP and watch the stream for free. Everyone on the internet is vulnerable to hackers and online threats. 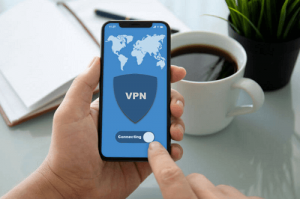 Gone are the days when you wondered how to counter them, VPN (Virtual Private Network) provides freedom to surf on the internet with secure web passage. There are many pros for using a VPN service, a few of them are mentioned below. Provides a secure privacy tunnel for all your internet activities. Gives access to geo-restricted content. VPNs provide encrypted data protocols in many cases AES-256 to protect you from prying eyes. Helps SEO experts to fake their location and test keywords and analyze marketing strategies. E-commerce website often shows different price tags for a product or service in different countries, using VPN you can change your location and buy at the minimum price. There are some VPNs that claim to provide P2P downloading. 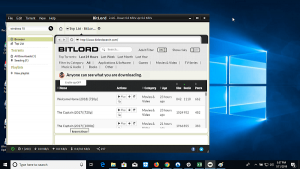 Although this is very minute, most users use VPN to download torrents only. Hotstar is Global, Are You? Whenever I come at this part of my write up, I am glad because we start with a problem and as we move further into the article we gladly announce its solution. VPNs are the ultimate solution to watch Hotstar streams. So are you ready to jump in your couch and enjoy unlimited Indian content? If yes then what are you waiting for, go download best VPN out there, Peace!